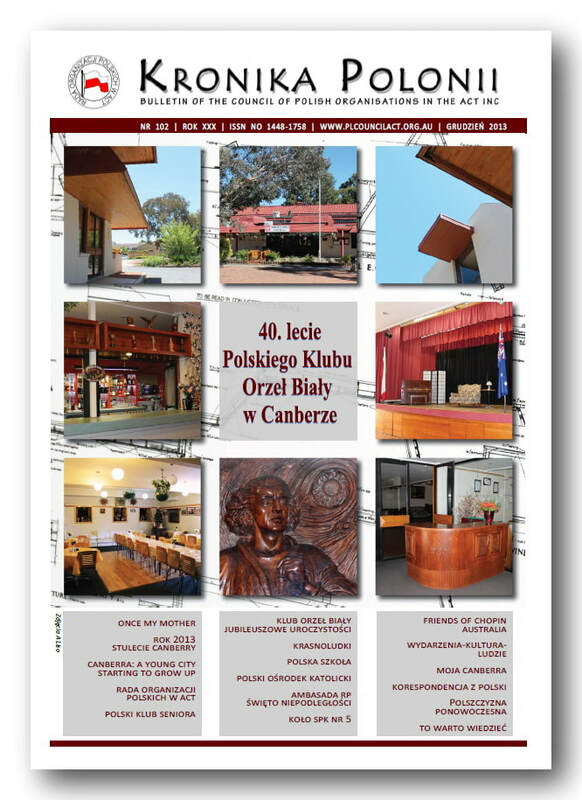 Polish Australian White Eagle Club - Council of Polish Organisations in the ACT Inc.
Polish Australian White Eagle Club Inc. The Club, situated in Turner, is a social club where Polish national days and other events are celebrated. The building, known as Nicholas Copernicus House, was designed by architect Dr Enrico Taglietti and built by the Polish community. It was formally opened in February 1973 by Cardinal Karol Wojtyla during a visit to Australia and has been in continuous operation since then. to promote and to encourage integration of people of Polish origin into the Australian community.